The Algon Bench by Dutchbone is the perfect seating solution that matches the Dutchbone Algon Dining Table, however, this simple yet effective wood and metal bench design would make the perfect console table or casual bench in your living room or commercial space. The Algon Bench is incredibly striking due to its silhouette appearance that stands strong enough to stand on its own as its individual luxury home furniture piece. 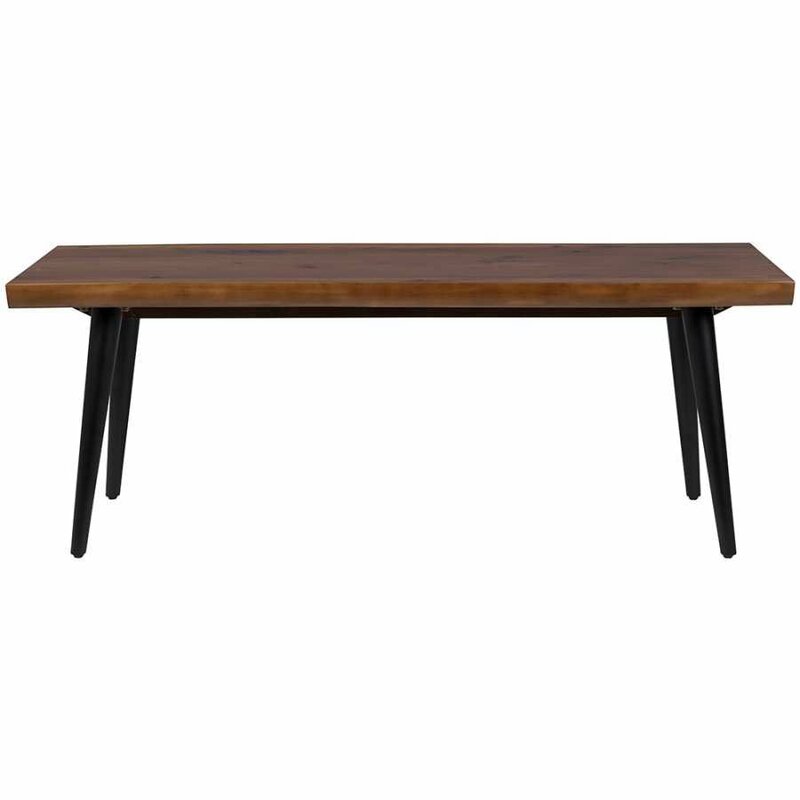 Dutchbone have constructed the Algon Bench from the highest quality PU lacquered Walnut Veneered MDF table top with powder coated metal legs. The juxtaposition of industrial metal and natural wood works perfectly for an innovative and simple bench design that is incredibly versatile. 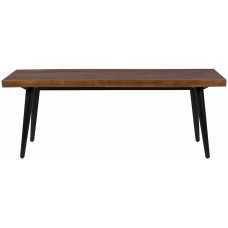 The designers behind Dutchbone have kept the natural bark of the wood of the bench top on both of the long sides accentuating the natural wood quality of the bench and reiterating the fact that Dutchbone has used solid walnut wood for a truly luxurious dining bench/ home furnishing piece. The Algon Bench is available in three sizes ensuring that there is an Algon Side Table to suit your interior space.